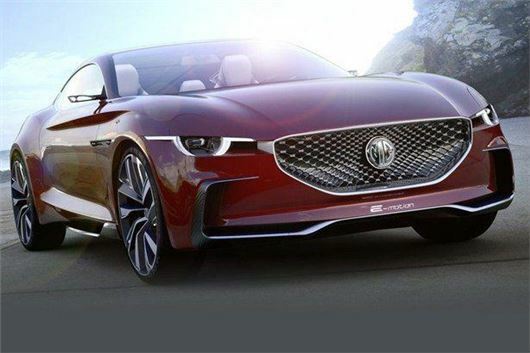 Comment: Could the new MG be China's Datsun 240Z? Back in the late 1960s, one of the more prominent names in the fledgling Japanese car industry told the world it was about to build a sports car. Not only that, but a sports car that would take on the Europeans and the Americans and beat them at their own game. At the time, the notion of a Japanese manufacturer building a serious sports car was almost comical. Of the few Japanese cars to have been exported, most were quirky, compact saloons that looked a bit goofy and, while tremendously reliable, were extremely prone to corrosion. But then along came the Datsun 240Z, and as tumbleweed drifted across rows of abandoned MGBs and Triumph GT6s in American dockyards, the laughter abruptly stopped. Datsun, it soon became apparent, had been entirely serious, and its 240Z was such a big hit in the USA that it even stopped supplying cars in the Japanese domestic market for a while to keep up with Stateside demand. It became the fastest selling car in the USA since the original Ford Mustang, and customer orders were such that it would be a further 18 months before European buyers could sample what the 240Z had to offer. Which, it turned out, was a terrific combination of a torquey six-cylinder engine, rear-wheel-drive and rewarding handling, along with a smart, modern feeling cabin that made its British rivals feel old hat. So, could it now be China's turn? There were certainly a few raised eyebrows when MG Motor pulled the covers off its E-Motion concept car at this week's Shanghai Auto Show. Yes, there had been teaser images and a new MG sports car wasn't unexpected. It's fair to say that the MG renaissance under SAIC has been slow to get going, and while the MG3 hatchback is a reasonable enough (though by no means class-leading) supermini, the larger, now-defunct, MG6 was a bit of a damp squib. The new GS SUV has hardly set showrooms on fire, either. But here's the rub: that's exactly where Toyota, Datsun and Honda were in the late 1960s, and the British dealers and media didn't take them seriously, either. MG has a further ace up its sleeve, as an instantly recognisable brand, albeit one with a few bits of recent baggage. It can still play off the heritage of the famous octagon, and for every individual that looks at that with cynicism, there'll be another that sees MG Motor as the last vestige of the failed MG Rover Group. A lot of the design, engineering and marketing of the cars still takes place in Birmingham, after all. So, what does MG have to do to make the E-Motion a success? Well, build it for starters, and the noise coming out of Shanghai suggests it will be in showrooms by 2020. Secondly, it needs to ensure the quality matches the looks, and thirdly, it needs to price the car correctly. If it remains EV-only, it needs to significantly undercut Tesla. If a more conventionally-powered version comes along, they need to get it right, and make it both fast and reliable. There will be many who suggest this is just a pipe dream. And that's as may be. But consider this. The Chinese certainly know their batteries. China currently builds more electric cars than anywhere else in the world; 43% of the 870,000 built in 2016, according to US research group McKinsey. In addition, the Shenzhen-based BYD Group has grown into the biggest global supplier of battery-powered drivetrains for commercial vehicles and buses. If you live in a British city and have ridden on an electric bus lately, chances are it has a BYD powertrain. The point here is that China's car industry is no longer one of cheap knock-offs, but is rapidly becoming a global industry leader in electromobility and the product niches it identifies it can tap into. All it needs now is a halo car. One that can gain acceptance in markets across the world as a genuinely handsome and technologically advanced thoroughbred. And, by jove, we may just have found it. Well well, a smart-looker and interesting as well. I'm inclined to agree with the writer on this one...never mind the chinese connection (irrelevant now-days I believe)...the car will tell it's own story. Must not forget the Saab/Nev plans too. They were planning to launch an all electric 93 sometime soon but have gone quiet recently.